Zayn Malik has revealed he "always wanted" to leave One Direction, quickly realizing the type of music the band were producing "wasn't for me". 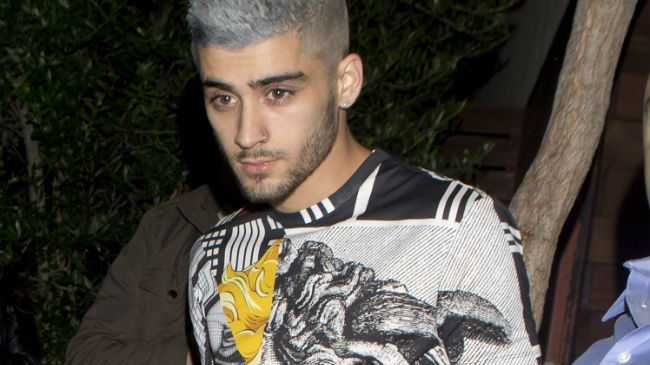 ZAYN Malik "always wanted" to leave One Direction. The band, Zayn, Harry Styles, Liam Payne, Niall Horan and Louis Tomlinson, were formed on 'The X Factor' in 2010 and remained a five piece until Zayn announced his departure from the group in March 2015. In a new interview ahead of the release of his debut solo single 'Pillowtalk', Zayn admits he quickly realised he and the group had different' ideas for the future. He said: "I just gave it a go because it was there at the time. I think I kinda always wanted to go. From the first year, I never really wanted to be there in the band." "When I realised the direction that we were going in, mind the pun, with the music, I instantly realised it wasn't for me. How do you write a song from five people's perspective?" Zayn also said that his bandmates were more than aware that he was unhappy in the group. He added during a chat with Zane Lowe on Apple Music's Beats 1radio, set to air in full on Thursday (28.01.15): "I think the boys knew that in terms of the music, that wasn't my cup of tea. "When I was leaving the band, they didn't want me to leave. But I'd already made up my mind at that point." The interview comes after it was revealed that Zayn had pulled out of a scheduled appearance on 'The Graham Norton Show' later this week, with the show being aired on Friday night (29.01.16. His representative told the Daily Mirror newspaper: "Unfortunately there was a scheduling conflict as Zayn is currently in the studio completing his album."